How The Brain and Body Work Together To Prevent Diabetes article and video describe a two step approach to treating and preventing diabetes. Current treatment of diabetes only using insulin significantly reduces the treatment's effectiveness. Diet, exercise,and lifestyle changes are very important steps in prevention and treatment of diabetes. The brain has more influence on the regulation of blood sugar and development of diabetes than was initially known. These findings could help curb the dramatic spread of diabetes, which if left untreated, is projected to affect nearly 35% of the population by the year 2050. Since discovering insulin nearly 100 years ago, treatment and prevention of diabetes has been centered almost exclusively around insulin. However, treating diabetes through managing insulin levels or lowering insulin sensitivity are reactive approaches used after diabetes has already been diagnosed. 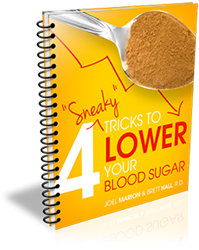 Doctors are recommending that blood glucose levels be managed by employing a two-step proactive approach. The first step being an increase in the production of insulin when blood sugar rises; the second step is an increase in the metabolism of blood sugar, a process started in the brain. Health News Wires' How The Brain and Body Work Together To Prevent Diabetes article and video are available at http://healthnewswires.com/brain-body-lower-blood-sugar/.